Post about experimenting with stuff go here. 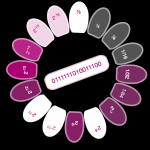 What would a PURE binary clock REALLY look like? Proudly powered by WordPress | Theme: armstrongest by Gary Armstrong.